Trusting electrical installations to inexperienced hands leads to huge hassles. Moving into a new location? Starting a remodeling project? Building a new facility? You need an experienced electrician on your side. Mishaps in installations can impact the safety of your entire home or business. Our residential and commercial electricians are licensed and trained in the highest standard of electrical services. Call Kasper Electrical when you need your electrical installation done right the first time. At Kasper Electrical, we provide a wide range of installation services to meet your residential and commercial electrical needs. Do you have questions about an upcoming project? Call us today to learn more about our electrical installation services and schedule your solution! 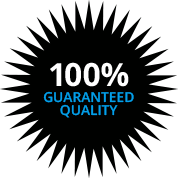 Trust your installation to over forty years of excellence.